Do All Credit Cards Have 16 Digits? Credit cards are an important method of payment as they are widely accepted everywhere from online retailers to shops and restaurants around the world. If you own one of the more popular cards – such as those issued by Discover, Visa or Mastercard – you probably would think that all credit cards display a 16-digit account number. In reality, credit cards can have anywhere between 13 and 19 digits. It is helpful to understand just how the credit card numbering system works when looking at your account number. 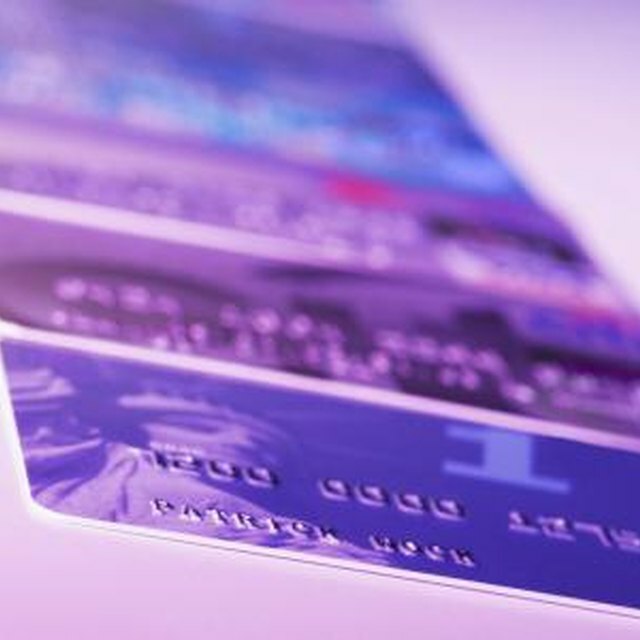 While it's most common for credit cards to have 16 digits, they can have as few as 13 and as many as 19. The very first digit on every card is referred to as the Major Industry Identifier (MII). The number zero has been set aside for future industries that might enter the market, while numbers one and two are specifically for airline cards. Number three is for entertainment, travel or banking and is typically seen on Diner's Club and American Express cards. You'll find a four or five starts off most major credit cards, as these numbers are specifically for banking and financial institutions. The number six is also for banking but encompasses merchandising as well. Number seven is used for gas, eight is used for healthcare and communications, and nine is used as a national identifier. If you take a look at your credit card, you'll notice that all Discover cards start with the number six, while Visa cards begin with a four. American Express and Diners Club cards have a three for their first digit, and you'll see that Mastercard alternates between a five and a two as the first digit. Maestro cards start with either a five or six. Cards starting with a two began being issued in 2017. Digits two through six of your credit card make up the Issuer Identifier Number. Basically, each bank is assigned a number so that any machine that processes the card will know which financial institution issued the card. How Does the Magnetic Stripe on the Back of a Credit Card Work? The next set of numbers that make up a credit card are the digits that are specific to the cardholder. That way the company knows whether it need to collect payment from John Doe or Jane Smith. Depending on what organization the card is with, this number may contain as few as six digits, or as many as 11. The final number, which may be digit 13, 14, 15, 16, 17, 18 or 19 on your card, is called the "check digit." This number validates the card using a mathematical algorithm known as the Luhn algorithm. While this check digit doesn't guarantee protection against fraud, it is designed to help prevent it. Take a look at your card and count the digits. You'll most likely discover that if you have an American Express, your card has 15 digits. Diner's Club cards are even smaller with 14 digits. If you possess a JCB credit card, you'll notice the digits are not all the same. Some cards have 16 digits, while others have 19. Discover and Mastercard keep their accounts at 16 digits, and although most Visa cards are 16 digits, some can have as many as 19. ABTEK: Decoding Credit Card Numbers: What Do Those 16 Digits Mean?